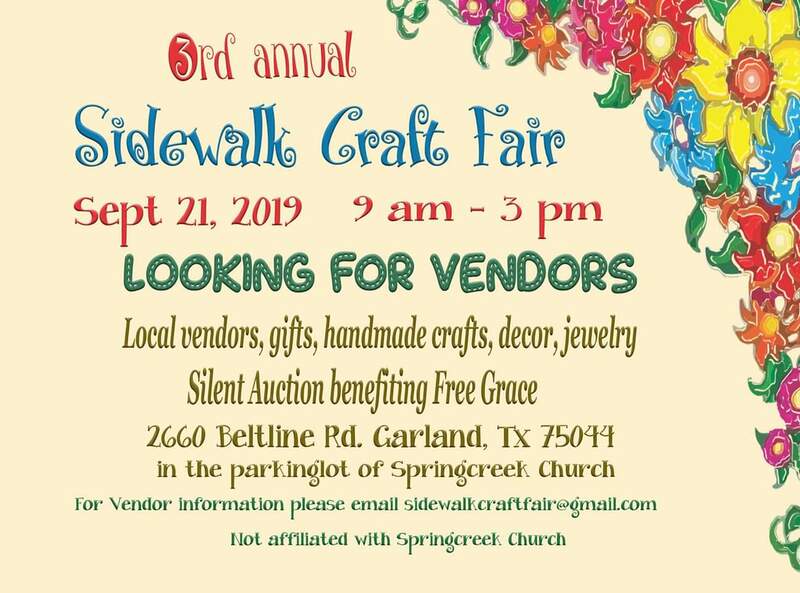 "Join us for our 3rd Annual Sidewalk Craft Fair. This outdoor event will feature handmade items created by our local artisans. From gifts, décor, jewelry, candles, paintings, and more! We will also be hosting a Silent Auction benefitting Free Grace. Open to the community - Free event!" Booths are a parking space, 9X18, and cost $30.00. This fee does not include tables, chairs, displays or tents. No electricity. Applications are available here and are due by September 14, 2019. 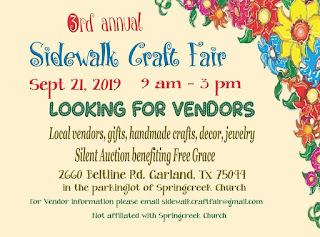 For more information, visit their website or contact their event coordinator at sidewalkcraftfair@gmail.com. 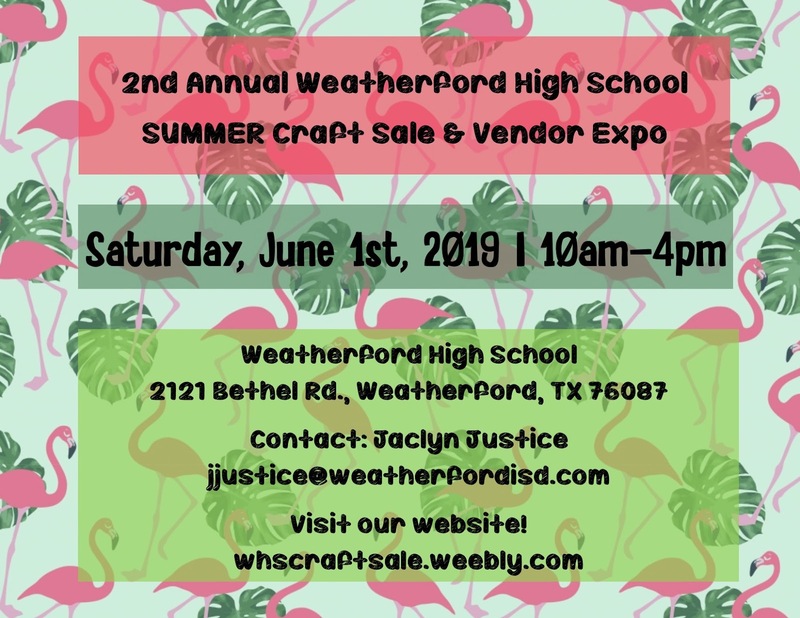 "We are having our Fourth Annual Craft Sale. Our vendors usually have a variety of items that they have made for your home, personal items and sometimes even plants for your garden. Their prices are very affordable and the items are well made. During the sale, our association has its own bake sale but our main event is for crafts." which is just off of Wichita St. which is just off of hwy I-20, Ft. Worth. Applications are available here (also available is their vendor letter and event layout) and are due by April 15th, 2019. For more information, contact their event coordinator at baharrell@tx.rr.com. 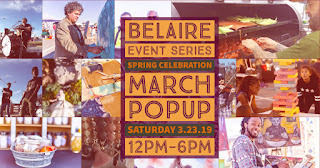 "We are so excited to bring to you the #HurstFirst Belaire March Pop Up! 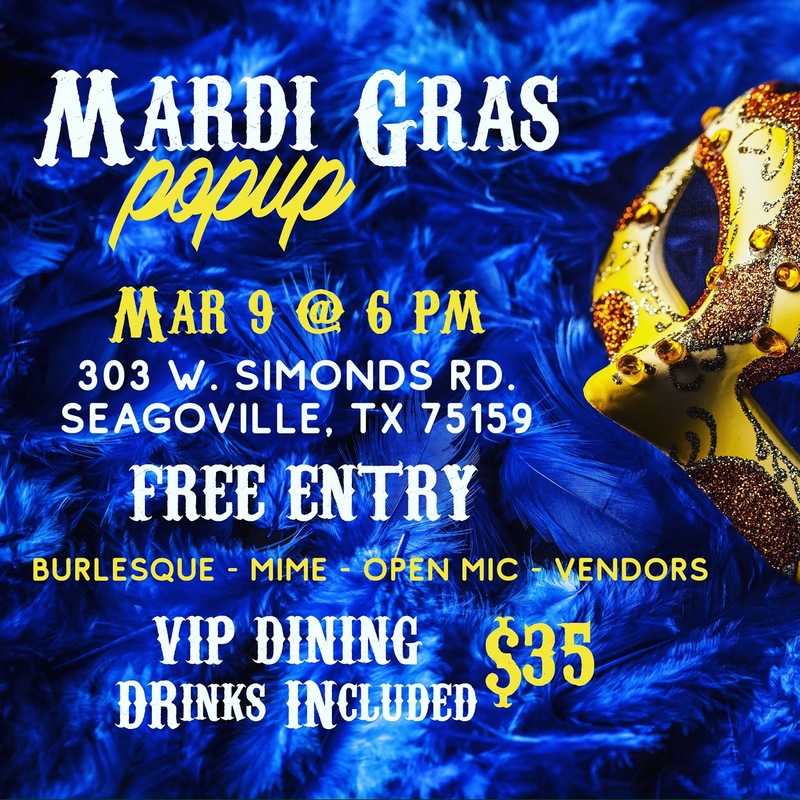 This family-friendly event, the second in the series, is a collaboration between the City of Hurst, Texas and the local business and arts communities." 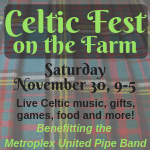 "Spend a beautiful fall day with us on a working farm, where Celts and Celts-at-heart will gather to enjoy live bagpipe music, Scottish and Irish dancing, faire food, gift vendors, kids' games and crafts, historic costumes, silent auctions, Outlander fan meet-up, and more. Blow off Black Friday and shop with our artisans! Why this fundraiser? Metroplex United Pipe Band is a non-profit organization that promotes Scottish culture in our community, as well as performing in local parades, concerts, civic events and more. We also compete as a group against other pipe bands from across the country, with the ultimate goal of competing at the World Pipe Band Championships in Glasgow, Scotland. This is the ""Olympics"" of piping and the pinnacle of the art." Booths are roughly 10 X 10 and cost $75. This fee includes wifi. Applications are available here and are due by October 01, 2019. "Tickets on sale now! You will not want to miss the Junior League of Richardson’s first ever Spring Market & Craft Boutique on April 27-28! With over 50 local artisans selling clothing, handmade gifts, home decor, jewelry and gourmet foods, there’s something for everyone. All proceeds from this event will go toward local non-profit organizations supported by the Junior League. Join us at the Richardson Civic Center and shop for a good cause!" Premium includes pipe and drape, (1) 6-ft table and two chairs. Pop Up Shop includes private room you can stage as a mini version of your shop – limited space available-- and (2) 6-ft tables and (4) chairs are included. Applications are available here and are due ASAP. This event is being hosted by the Junior League of Richardson as a fundraiser for local non-profit organizations in the area. They are ensuring that each vendor's product offerings are unique to each other to help boost their sales. For more information, visit their website or contact their event coordinator at funding@jlrtx.com. Applications are available here and are due by March 18, 2019. For more information, visit their website or contact their event coordinator at belaireeventshurst@gmail.com. "This event is a popup dinner and open mic and will feature performances from a burlesque group, a mime, musicians, and more! 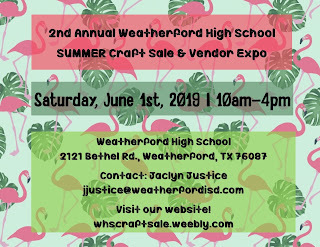 We will also have vendor spots to showcase local businesses and artisans!" Admission Fee: FREE for shoppers, but you can buy VIP dining tickets for $35 and they include beverages. "The 11th Annual Funky Finds Spring Fling is an artisan market that features over 100 area makers. The free indoor event is in TWO buildings with the best handmade and vintage finds. Family & pet-friendly." Cattle 1 Bldg., 3401 Burnett-Tandy Dr. Admission Fee: The Festival is FREE! Wine Walk Tickets are $25 & include a Wine Glass, Shopping Tote and 12 Tasting Tickets. If you need to rent, tables, chairs, or tents, they have a supplier with discounted festival pricing. Applications are available here and are due by April 01, 2019. For more information, visit their website or contact their event coordinator at kim@midlothianchamber.org. "This is Arlington Masonic Lodge 7th annual Open House. The Masonic Lodge will be open from 9 - 3 PM. The Masonic and youth groups will demonstrate their public ceremonies and educate the public on the ""secrets"" of Free Masonry. A Carter Blood Drive Mobile unit will be on hand. Craft Vendors are invited to participate outside on our parking lot." Booths are 10 X 10 and cost $30. No electricity provided. Vendors may supply their own electricity; however, no loud generators are allowed. Each vendor will receive an exclusive classification. Only one booth from each direct sales company (i.e. Mary Kay, Pampered Chef, etc.) will be allowed. For more information, visit their website or contact their event coordinator at daltonfamily@sbcglobal.net / Arlington Masonic Lodge 817.274.7591 / arl438@sbcglobal.net. "Annual Arts & Craft Show benefiting the Guyer HS Choir. Over 100 booths of arts, crafts, and food. Performances by local school choirs on the cafeteria stage." Late registration begins 10/10/2019. Prices will be $10 higher. Chairs are provided; however, tables, electricity, and lunch do require an additional fee. Applications are available here and are due by November 04, 2019. For more information, visit their website or facebook or contact their event coordinator at guyerchoircraftshow@gmail.com.